Accentualizer Technology: Displays true-to-life and consistent images by enhancing sharpness, gloss and shade. HDCR (High Dynamic Contrast Range): Delivers authentic color reproduction in lighting conditions. Intelligent Eco and Saver Modes: The lamp brightness of the projector automatically changes to the brightness level of the screen. ImageCare Technology: This technology aims at improving contrast ratio and lengthening lamp life. Its function is to control lamp power that combines optimal picture performance with maximum energy savings. Cloning Function: Save precious time during setup and installation with this function that allows user to copy setting data from one projector to others of the same model using only a USB memory. Projector Quick Connection App for Mobile Devices: Projector control with our iOS application that is also capable of displaying photos, document files and web content. Available for iPad, iPhone and Android devices. Perfect Fit 2: A handy feature for correcting geometric and complicated distortions. Very quickly and easily it fits the projected image to the screen. 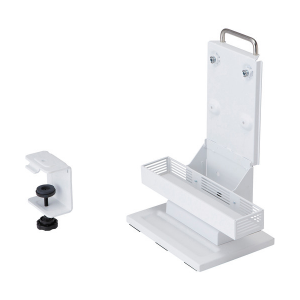 Tabletop Presentation: In a limited room space the user can make any tabletop a projection screen using the optional tabletop stand. 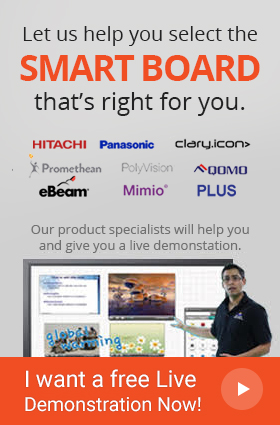 Network Control, Maintenance and Security: Manage and control multiple projectors over the LAN via embedded networking. 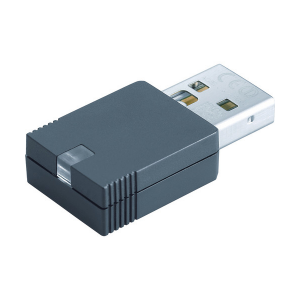 PC-Less Presentations: Use the projector without a PC with a USB memory stick or other storage device. 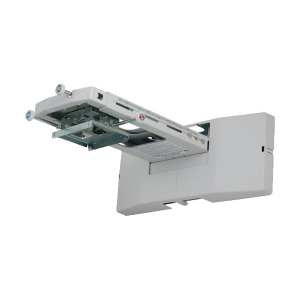 Pin Lock / MyScreen / MyText: Only authorized users can use the projector as it comes equipped with a PIN lock feature. The MyScreen PIN lock keeps images on the startup screen. Identify ownership by setting any name logo to MyScreen. The MyText allows user to write on the startup screen such as model name, serial number or location. PJMessenger: An efficient way of communicating through text messages and audio alerts on your networked projectors. 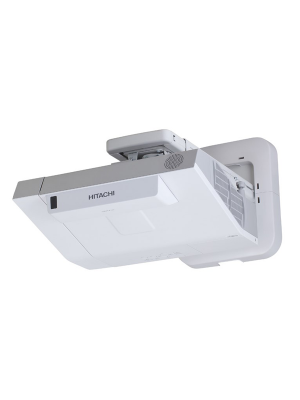 The Hitachi CP-AW2503 Ultra-Short Throw Projector offers improved image quality and flexible connectivity including powered focus and wireless networking. It is capable of projecting bright, clear images in tight room spaces and therefore, this innovative 3LCD projector is best suited for classrooms, boardrooms and event centers. 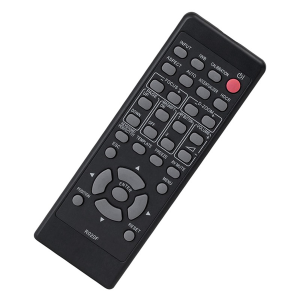 It is equipped with a wide number of useful convenience features. The Hitachi CP-AW2503 projector delivers 2,700 color and white light output with XGA and WXGA resolution. Along with its image performance enhancing features, light weight and compact design, the Hitachi CP-AW2503 Ultra Short Throw Projector has the most appreciated installation feature, the Perfect Fit, allowing time saving and ease of installation.